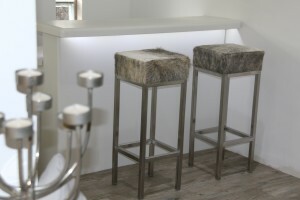 If you are looking to add an accent to a room, cowhide custom-made furniture is always a popular choice. With a wide variety of colour and style options available we can always source hides that will compliment your interior space. Visit our cowhide furniture page . 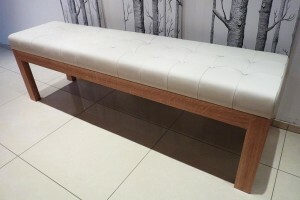 From benches to coffee tables, chairs and panelling, leather custom-made furniture never fails to impress. Offering an amazing aroma, feel and durability, it remains timeless. Available in a range of contemporary colours and styles and combined with other materials like oak or stainless steel you can create some really stunning furniture. Visit our leather furniture page . Ordering custom-made furniture should be about getting exactly what you want. Finding the right furniture that actually fits where you want it to go, and looks exactly how you want it to isn’t always easy. However when you order from Hide and Stitch we ensure that we fully understand your brief and the context into which you want your furniture to fit before we begin production. From our one-stop workshop we can control every aspect of the manufacture of your order, from upholstery finishes to woodwork staining, making sure that it not only meets your expectations but also our own high quality standards. Whether it’s cowhide or leather, woodwork or metalwork, we can offer our customers a wide variety of samples to choose from. Perhaps you’ve already seen something you like elsewhere but not the right size or colour? Or, you’re looking to have something unique that reflects your own personal style … Once you know what you want we move forward together confirming materials, dimensions and installation and aim to have your work completed to your schedule. From the smallest coffee table to the largest leather wall, we will take on all projects regardless of size or complexity. Get in touch with your ideas.